Picture day came easy for us this year, thanks to Fabkids. 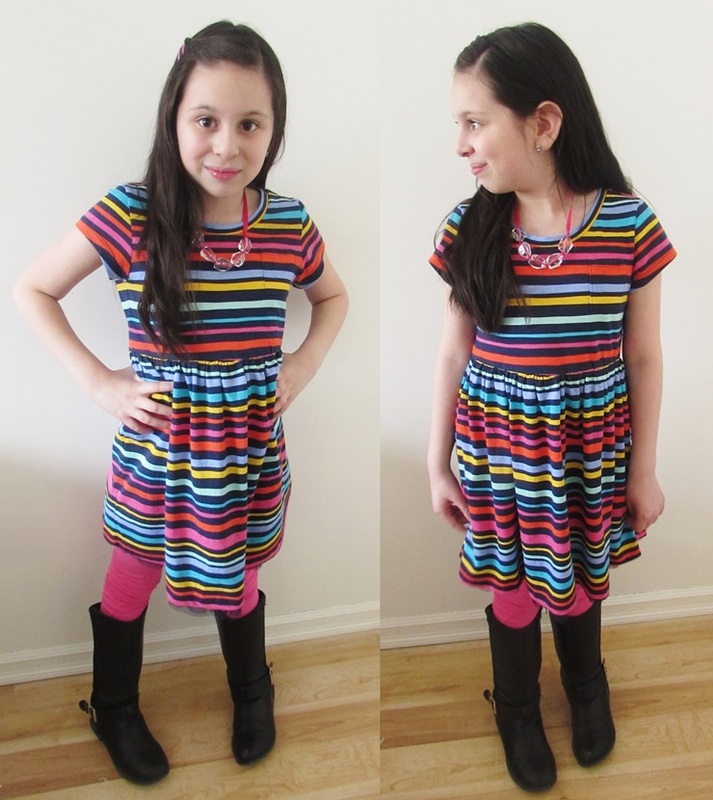 Ari had her outfit picked out as soon as she opened this multi-stripe dress and legging. 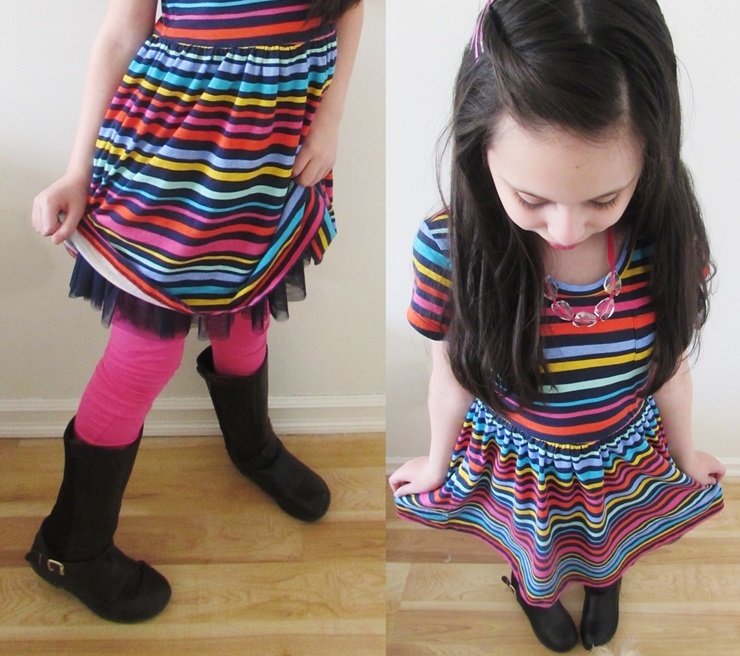 The colors are fun and vibrant – perfect for picture taking. And the cut and material make it comfortable and school-appropriate. But my favorite detail has to be the tulle underskirt which adds just a little extra flair. Needless to say Ari loved it, and according to her it was a big hit with her friends too! Can’t wait to see how the school pictures came out! 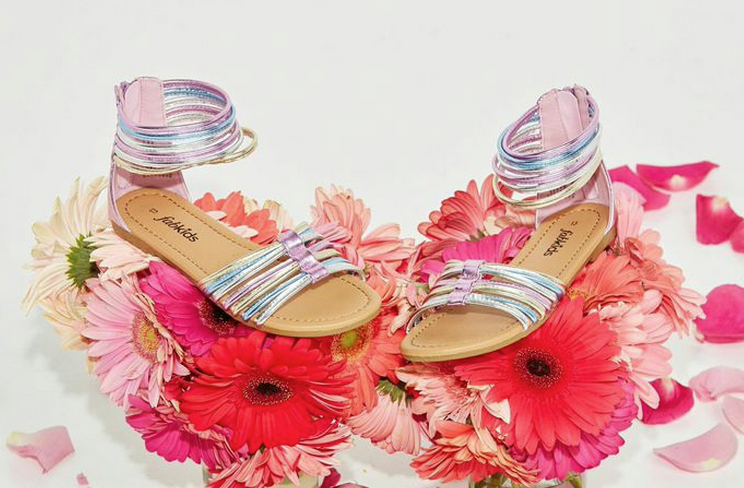 And if there wasn’t enough reason to love Fabkids already, they also have an adorable selection of summer shoes. In fact, Ari will be reviewing some soon, so stay tuned!